What is the best way to fill gap in concrete foundation wall after removing block of wood? Q. I have 2 pieces of wood 6"x6" in the basement poured concrete foundation wall that are at the bottom of the wall that look like they were possibly part of the form used during pouring. They probably were scheduled to be removed and the holes patched but never were. After some landscaping was done at the side of the house, I then started getting water entering at the joint of the wood and the wall which started as a trickle and then grew to a steady stream of water when there was a heavy rain. 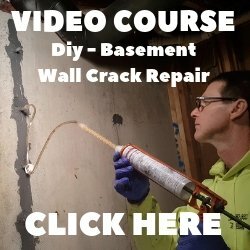 I want to remove the wood and patch the hole before finishing the basement and want to find out the best way to make a form to seal the holes completely and bond the new concrete to the existing. A. To completely seal the void left from removing the wood from the concrete wall, you can use a product from RadonSeal called Pipe Tite Gap Filler Kit. This stuff is an expanding polyurethane foam that will permanently seal the gap in the concrete left by removing the wood. 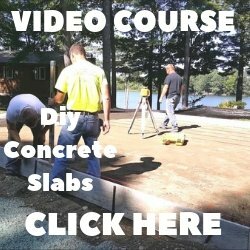 If you try using concrete or hydrolic cement to seal the gap, you will eventually get a leak because neither will permanently adhere to the existing concrete walls. You will have to block both sides of the hole with a 2x8 form. 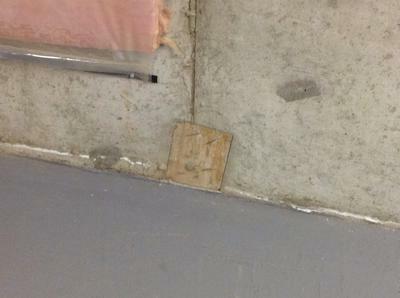 You can adhere the 2x8 to the concrete with some caulking or a little liquid nails. If you're unable to get to the outside of the foundation because it's underground, just clean the area from the inside and block the inside. Drill a hole in the top of the form large enough to stick the end of the caulking tube into and inject the polyurethane until the gap is filled.